The organisers of the Gulf 12Hrs event have today published their provisional 31 car entry list for their event that starts next month in Abu Dhabi. 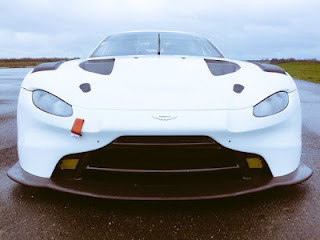 The list confirms four Aston Martin entries - three examples of the new turbo charged 2019 iteration Vantage GT3 spread between the Pro and Pro-Am classes with a further brand new Vantage GT4 in that class but we do not see the Generation AMR SuperRacing car make the short trip around the Gulf from Bahrain where they are presently racing in the GT4 International Cup. 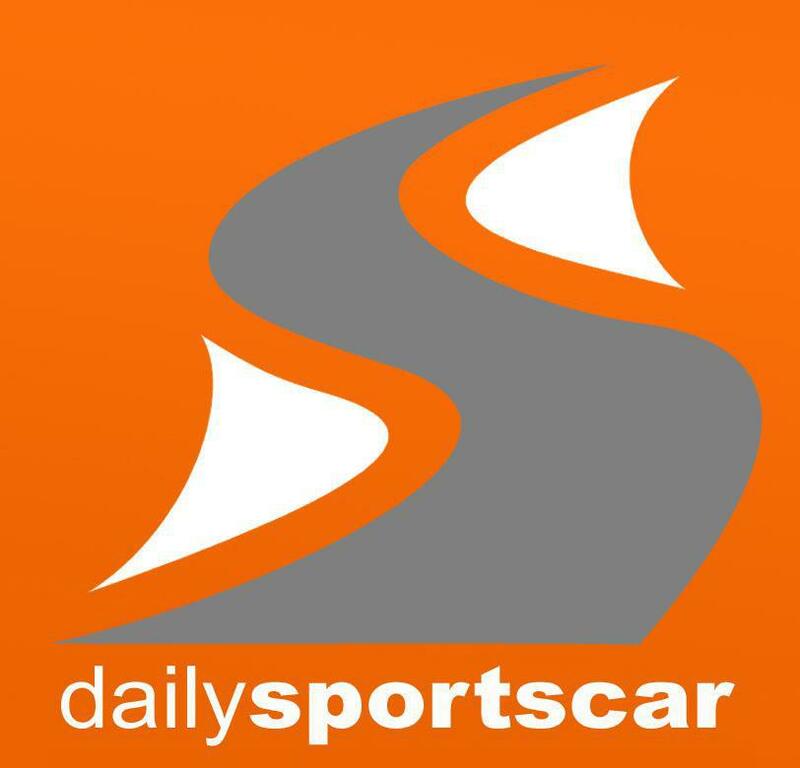 The TF Sport prepared Oman Racing car above will of course morph into the new variant of GT3 for drivers Ahmad Al Harthy, Darren Turner and Jonny Adam to have a crack at showing the new cars worth in the highly competitive Pro class. Two (and possibly all although not all were seen) of the new Vantage GT3 cars shook down at a wet and windy airfield close to the Prodrive factory earlier this week ready for them to be flown out in time for the event that starts 13th December. 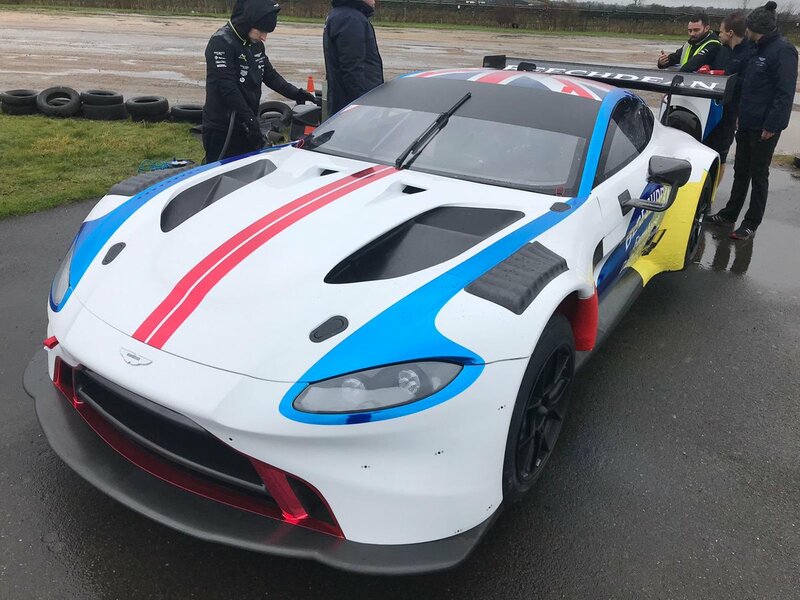 What was also announced a few days ago was the appearance of the brand new turbo charged V8 Vantage GT4 in its first ever competitive event - like the R-Motorsport GT3 the driver line ups have yet to be confirmed.